When I was a small boy, I used to see this hill from the distant. At that time, it was inaccessible because there were no roads leading to this place. I used to imagine the top of the hill was green carpet being spread out by someone. I once asked an elderly village person about the unique feature and why was it like that. He told me, "Son! there is an oilfield up there!" Anywhere it is indeed an awesome sight. Today, there are few roads that leads right next to the hill. 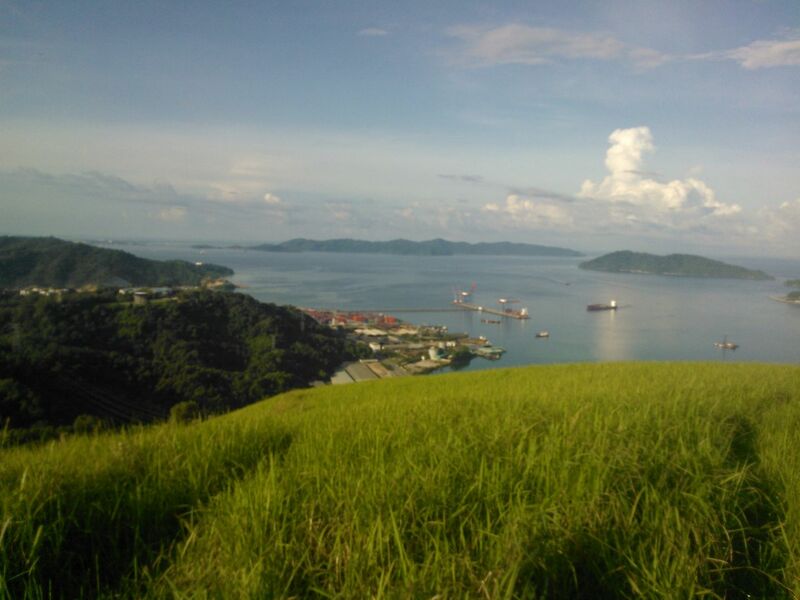 This hill is called Bukit Botak which literally means Bald Hill. It takes 25 minutes of normal driving from Jesselton (Kota Kinabalu) city center to reach this hill.There are three access points to this hill, and the fastest one is by the newly build Sepanggar bypass road which is on the southern side. From below the hill, it seems climbing up would be easy and fast. 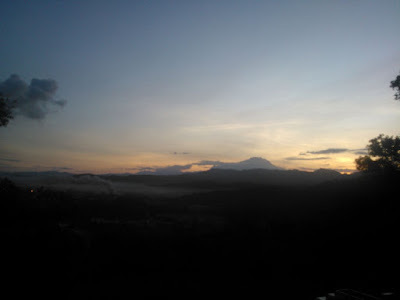 We climbed from the nothern side of the hill, and soon we were passing a native graveyard but from here we can see the sun rising behind Mount Kinabalu (see picture above). Despite being a small hill, it was tough for me hiking up. It takes about 30 minutes to reach the peak and as for me I had to stop several time to catch my breath. 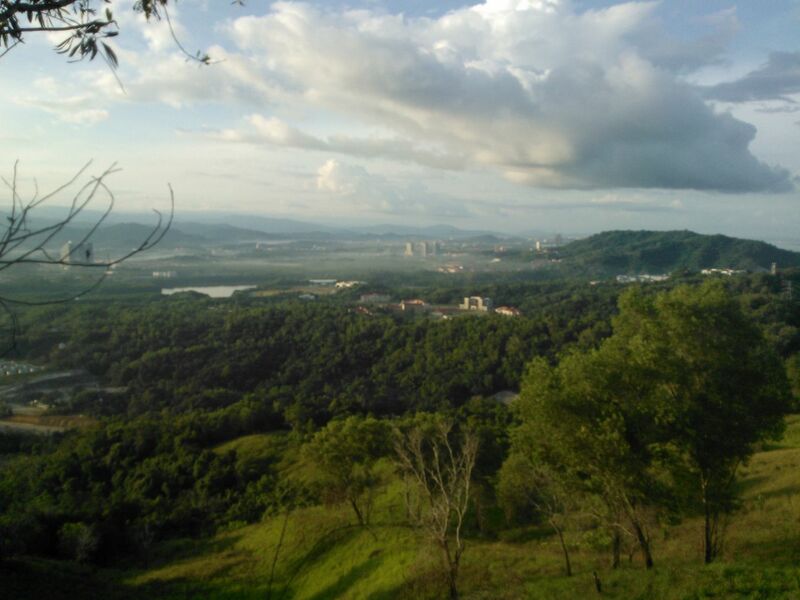 But once I reached the pinnacle, I felt a sense of achievement as I watched the wonderful view from the top. It was not carpet on top of this hill as I always imagine. 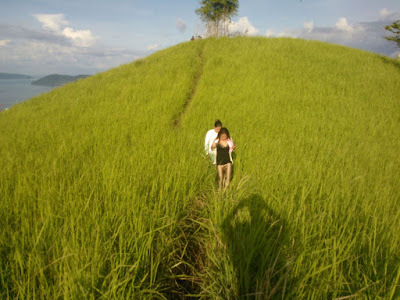 It was covered with lalang or better known in English as Cogon Grass or Blade Grass and scientifically known as imperata. It was useful in the olden days because it could be weaved into rooftop for traditional houses and the grass is still useful to stabilize soil. It is widespread all over Asia, some part of the Pacific and East Africa. It is considered an invasive species as it reaches the Americas. There were lots of hornets gliding above the grass but it didn't disturbed us. 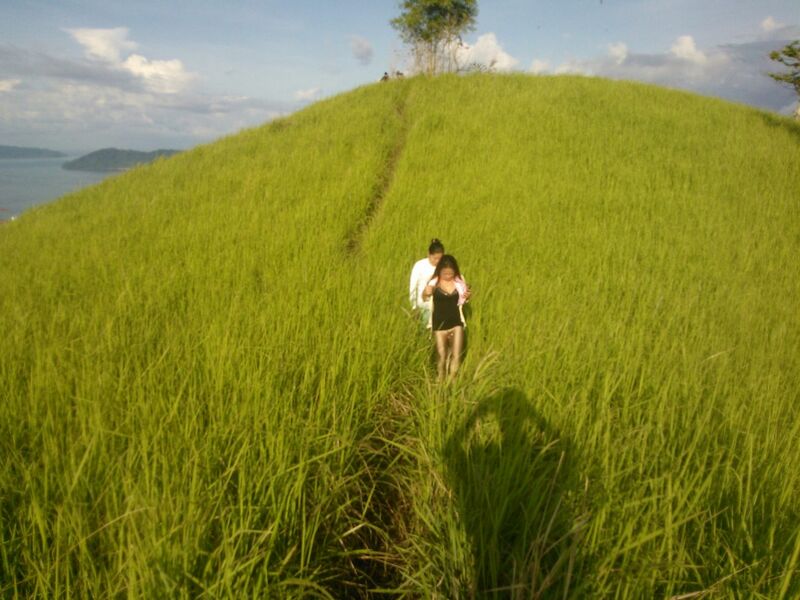 When hiking up this hill, it is advisable that you don't travel alone. Even though there is a small patch of jungle on the northern side of this hill, one could easily get disoriented and lost and it takes a while to reach the right route and find the road; unless you come up from the southern side, then it is easy. Besides, traveling in groups is not only safe but enjoyable. By the way, there is no oilfield up here!